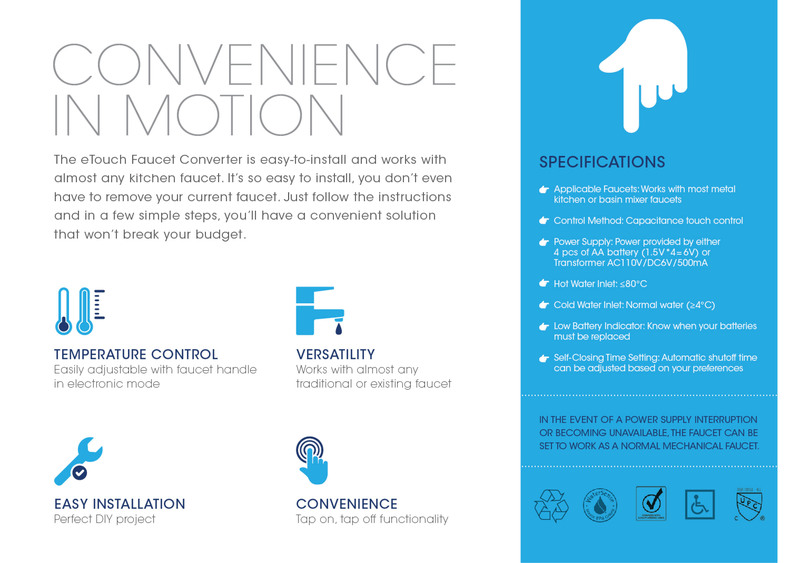 If you attended the 2015 National Hardware show in Las Vegas this year, you may have seen the first public unveiling of our new E-Touch Faucet Converter. The new E-Touch is a fully contained electronic unit that can convert almost any existing faucet into a touch activated faucet. It is wonderfully easy to install. You simply disconnect your existing water supply lines, connect them to the E-Touch, and then connect the E-Touch water supply lines back to your faucet. Then attach the capacitance sensor clamp to the metal shank on the underside of your faucet, connect the supplied battery power pack or optional AC power converter, and you’re done! 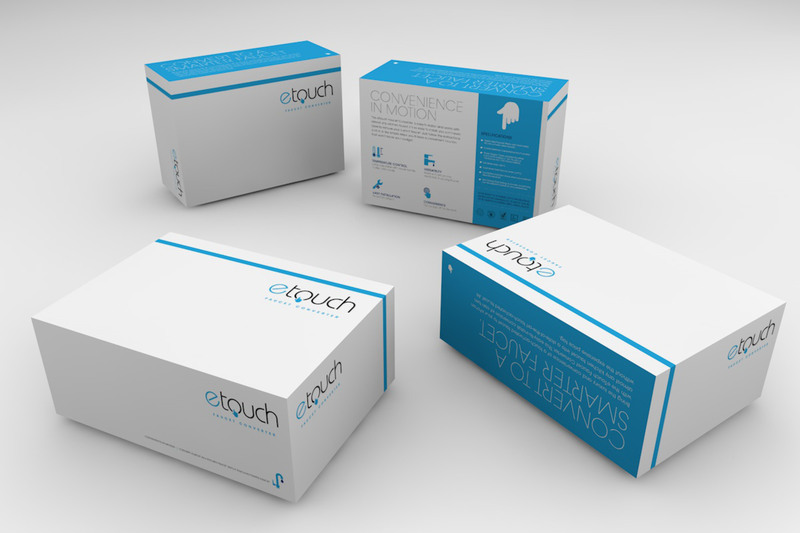 The E-Touch will be a revolutionary alternative to existing integrated touch faucet systems because you have the advantage of being able to take almost any faucet style you desire and turn it into a touch activated faucet for a fraction of the cost. Contact Ultra Faucets if you would like more information, or if you are a retailer who is interested in the opportunity to carry this revolutionary new kitchen and bath product.